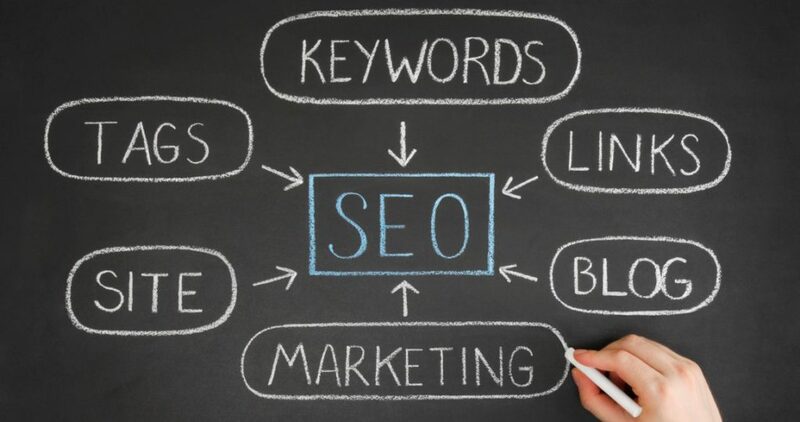 Whether you choose to use our pest control SEO service or do it yourself, this article will give you a better understanding of search engine optimization. Many pest control business owners know they need online marketing. They simply don’t know where to start. Figuring out all the terminology can be confusing and frustrating. In addition, learning how to market your company online is extremely time consuming. We are going to provide you with the basic information you need to know about search engine optimization for pest control companies. Before we get into the nuts and bolts of SEO, it’s important to understand why SEO is needed. Having a professionally designed pest control website is only half the battle. You need potential customers to find your website. Each day, potential customers are out there looking for a pest control company. When they search online, you want them to find your pest control website. There are two main ways to show up in search results. Pay Per Click (PPC) – You can pay google to show up at the top of the search results. Each time a customer clicks on your ad, you pay google for sending someone to your website. When you stop paying, customers stop coming to your website. Search Engine Optimization (SEO) – Google also displays search results that it thinks are most relevant. If a potential customer searches “Best pest control company in Denver” your website could appear if you have created content related to this search. Google may see your article titled “Best pest control company in Denver” and display your website in the search results. You don’t pay to have your website show up in the results and you also don’t have to pay when a customer visits your website. SEO requires more up front investment but you see the benefits long term. At the most basic level, search engine optimization is about writing content that your potential customer would be searching for. Writing articles about, “Best pest control company in Denver” or “How to guard against pests in Denver” will get your company website displayed in google’s search results. You can think of each article like a fishing line. Each article one your website is like having an extra fishing line in the water. The more lines you have in the water the better your chances of catch a fish! Search engine optimization for pest control companies is all about getting the relevant content created. Writing content specific to your city is key. In addition, writing content that matches what users are searching for is very important. You want potential customers to find your pest control website. Title Tags – You should have 1 H1 tag on each page. It should include the content keywords you are focusing on. Meta Description – Your meta description should give your potential customer a call to action. It should also include your content keywords. Content Readability – Your content should be easy to read. Short, easy to digest writing is best. Linking – Each article you write should be linked to other parts of your website. This indicates to google what parts of your website are important. Back Linking – Building links from other websites that point to yours important. It tells google that other people think your website is relevant. The above optimizations are just the start. If you want to get serious about search engine optimization for pest control websites, we recommend heading over to Moz.com. They have a lot of tools and resources to learn more about SEO. Search engine optimization is a complicated and time consuming skill to learn. Let us help! Our team specializes in search engine optimization for pest control companies. Each month our team will create new content specifically for your website. Since we specialize in the pest control industry, we know how to write articles that attract new customers. The content we create each month will help your business get ahead of the competition. Our pest control SEO package is just $349/month. Most generic SEO companies start at $600/month! If you are ready to take your pest control business to the next level with online marketing, fill out the free consultation form. Our team of experts will work with you to get an online marketing strategy in place that delivers results. If you need a professional pest control website, simply head over to the pest control website page to get started. Once you have professionally designed website optimized for SEO, we will begin our monthly SEO service. You won’t need to write any content or do anything at all! Our team will handle everything. Each month we will provide you with a monthly report so you can see the results of the SEO marketing campaign. We do not charge any setup fees to begin your SEO service. When new customers contact your company via an online inquiry form on your website or via phone, your company will handle each lead. We will drive new customers to your pest control website template and you take it from there! It depends. If your website has the ability to create new content and is optimized for SEO, we can use your existing website. If not, we will recommend a new website which we can setup for you within just 2 weeks.